They resigned over Theresa May’s Brexit deal as it was so terrible for the country. They derided it for diminishing the UK to an EU rule taker, not rule maker. 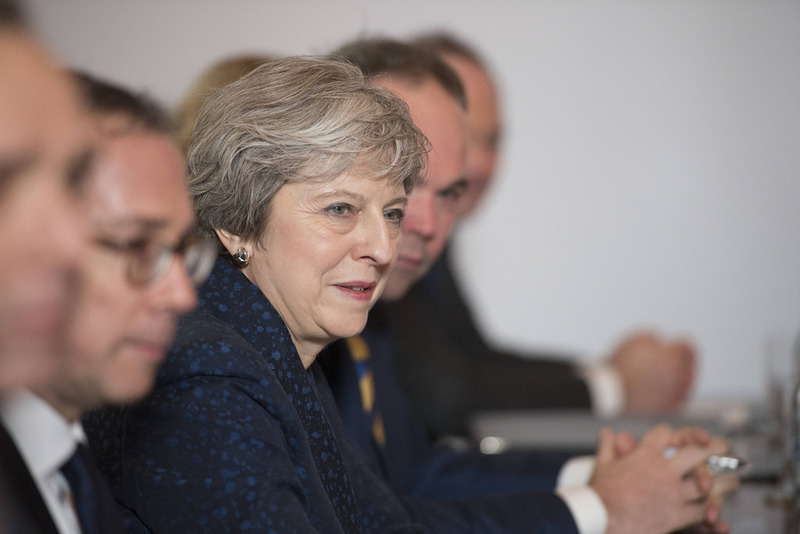 Yet now, sources suggest as many as 40 Tory Brexit rebels are prepared to vote for Theresa May’s deal as she threatens parliament with a third meaningful vote on it – so long as they get a new leader for the Conservative Party. Tory ERG troublemaker Andrew Bridgen told The Sunday Times this weekend that party whips have informed him that the Prime Minister is willing to announce her resignation to get her withdrawal agreement approved. Downing Street has denied the report that Tory Brexit rebels’s votes for the deal have been courted this way. Esther McVey and former Brexit Minister Dominic Raab were both linked with leadership bids this weekend to lead the Conservative Party into a harder Brexit. Esther McVey who resigned as controversial Works and Pensions minister in protest at the EU withdrawal deal after a reported teary spat with the PM, has now switched to supporting the deal. She also told Sky News’ Sophie Ridge “if there was enough people supporting” her she would stand for Tory leader, with Radio 4 confirming her bid this morning. She also told Radio 5 Live and Radio 4 that the PM “needs a dignified departure” – as she proceeded to hasten it. Also appearing to suggest possible leadership bids are Dominic Raab, the former Brexit minister who resigned over the government’s withdrawal deal he negotiated, disgraced former minister Priti Patel who resigned after undisclosed meetings with the Israeli PM and lobbyists. And even Liz Truss. Jacob Rees-Mogg again today criticised the Withdrawal Deal as not delivering on the promises of Brexit. But he said he would wait to see if the DUP would be persuaded to switch to supporting the deal. He also said his support would depend on whether leaving the EU with no deal would be possible, as he said that would be preferrable.